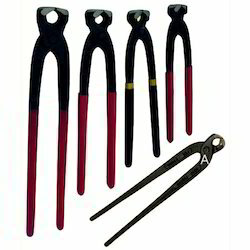 We bring forth an outstanding range of Industrial Pincer. These products are manufactured by making use of superior quality basic material with assistance of highly skilled work force and advanced machinery. Complying with the international industry norms, these products get in-tune with the clients varying needs. Owing to our rich expertise in this domain, we have been able to manufacture, supply and export Tower Pincer (with and without Insulation) to the clients. 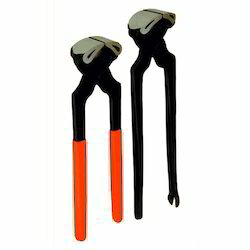 These wheel spanners are precisely designed by adept professionals as per the set industry norms and standards. Our professionals also make sure to use optimum quality metals and components in the manufacturing process. Apart from this, our entire range is provided with tailor-made options that vary from sizes, detailed down by the clients. The product is also known by its Italian name as Tenaglia cementista nera/isolata. 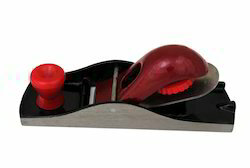 We offer Carpenter Cobler Pincer to our customers. These tools are manufactured under the notable guidance of dexterous professionals who make use of high-grade metals and other such components. All our offered products are acclaimed for their robust construction, reliable usage, wear & tear resistance, seamless finishing and longer serviceability. The product is also known by its Italian name as Tenaglia Falegname M/tifficato. 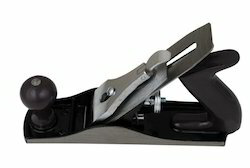 Looking for Industrial Pincer ?